Meet Mr. Player to be Named Later. Elliot Johnson may be the Royals’ “grittiest” player since Jason Kendall. Ned loves grit. With Elliot Johnson, the Royals and Rays have completed the December 9th trade that saw the Royals give up Wil Myers and Jake Odorizzi (plus two others) for James Shields and Wade Davis. Johnson, who will be 29 on opening day, is known more for his versatility on the field than his presence at the plate. Although he’s spent most of his time at shortstop (154 games), he’s logged time at second base (23), third base (7), left field (4), center field (2), right field (1), and first base (1). A switch-hitter, Johnson took part in 123 games last season for Tampa Bay – managing a .242/.304/.350 slash with 10 doubles, 2 triples, 6 HR, and 33 RBI in 297 official ABs. He also managed to swipe 18 bases in 24 total chances. In parts of three big league seasons (200 games), Johnson has managed a .223/.283/.338 line with 31 XBH (17 doubles, 4 triples, 10 HR) and 24 stolen bases. He has a career K:BB ratio of 3.79. For his career, he is a much better batting left-handed (.252) than right-handed (.183), so a possible platoon with Chris Getz is out of the question. Elliot would make a great utility-man for the Royals, as he has the ability to hold his own defensively at just about every position outside of pitcher and catcher. That, coupled with the the fact that he’s a switch-hitter who is a smart base runner, make him all the more valuable to a team short on impact role players. To make room for Johnson on the 40-man roster, the team shifted starter Felipe Paulino to the 60-day DL. Paulino is still recovering from Tommy John surgery and will likely be out until after the All-Star break. I’m going to take a step away from my usual optimistic take on the Royals right now. Now standing at 31-39, 6 games back of the White Sox, and just 1.5 games ahead of the lowly Twins, the Royals just had their most heart-breaking series as of yet. The Cardinals outscored them 30-14 during the weekend series in Kansas City. The Royals’ starting pitchers (Vin Mazzaro, Luis Mendoza, and Jonathan Sanchez) combined for 11.1 innings, 17 runs (all earned), 7 Ks, 10 BBs (6 from Jonathan Sanchez), and 238 pitches (101 of which were balls). Here is how the current rotation is fairing according to WAR (Wins Above Replacement). Now, given, the Royals’ starting rotation has taken an absolute beating this season when it comes to health. Both Danny Duffy and Felipe Paulino are Tommy John victims; Duffy, Paulino, Sanchez have had stints on the DL; basically every starter outside of Bruce Chen has had extreme bouts of inconsistency. The bottom line is this: No self-respecting organization would consistently trot a rotation like this one out to the mound 5-7 days a week. The losses of Duffy (6 starts, 2-2, 3.90 ERA, 9.1 K/9, 5.9 BB/9) and Paulino (7 starts, 3-1, 1.67 ERA, 9.3 K/9, 3.6 BB/9) really hurt this team, as they were arguably the most effective and consistent starters the Royals have had this season. The Royals have had a myriad of mostly ineffective fill-ins and spot-starters this season: Luis Mendoza (13 games, 8 starts), Vin Mazzaro (6 games, 5 starts), Will Smith (3 games, 3 starts), Nate Adcock (9 games, 2 starts), and Everett Teaford (3 games, 1 start). All in all, the Royals have had 10 different starting pitchers to date. I’ll say it again: Something has to change. Clearly, the type of work that has been done by Sanchez, Mendoza, Mazzaro, Hochevar, Smith, Adcock, and Teaford can be at least matched – if not bested – by almost anybody else (combined 253.1 IP, 11-22 record, 155 ER, 6.12 ERA). Fans, bloggers, reporters, writers, radio hosts, and the like are all calling for the Royals to make a change. Do something we haven’t seen before. And most importantly for each and every Royals fan: Give us a reason to believe in this team. Show us that you want to give this organization the best chance to win. Because these guys aren’t it. I’m sure Dayton Moore hears us all clamoring for the team to make a move. Afterall, being harolded as a great baseball minded individual, he can’t possibly think that this is the best we can do. I’m sure he’s fielding trade offers to some degree, keeping in mind that Jake Odorizzi and Wil Myers are off the table. Names like Matt Garza, Wandy Rodriguez, Jeremy Guthrie, Ryan Dempster, Joe Blanton, and many others are all floating around the rumor mill – with the Royals having possible interest in nearly all of them. Garza, as young and talented as he is, would command a major return since he isn’t arbitration eligible until after 2013. Rodriguez and Dempster fall more under the veteran rent-a-pitcher category for teams in a playoff push as they are both in the final year of their respective contracts. Guthrie and Blanton are both well-seasoned, over-paid veterans who could fill a spot in just about every team’s starting rotation – albeit as a teams third, fourth, or fifth starter. Outside of Matt Garza, acquiring any of the other names I mentioned would be virtual waste of time and prospects given the Royals current spot in the standings. Of course, the other consideration: call somebody up! Although the Royals pitching depth at the Triple-A level isn’t overwhelming right now, there are a few names who could do the same or better than what the Royals have in Kansas City right now. Jake Odorizzi: Izzy is the concensus’ top pitching prospect in the Royals’ system (and maybe even the organization’s best pitcher talent-wise). At 22, the right-hander has been dominating minor league hitters at both the Double-A and Triple-A levels. In his first 7 starts, while at Double-A NW Arkansas, Jake was 4-2 with a 3.32 ERA in 38 IP with a K:BB ratio of 4.7:1 and a WHIP of 0.97. Jake has continued to roll through minor league lineups after being promoted to Omaha to the tune of a 5-0 record with an ERA of just 2.72, a K:BB ratio of 3.2:1, and a 1.36 WHIP in 7 games (6 starts) totaling 39.2 innings. At this point, what more does he have to accomplish at the minor league level? This guy is big league ready in my opinion. It’s time for him to make the jump. Mike Montgomery: Monty has been passed by Odorizzi in the prospect rankings lately, as he has seen his performance decline since being promoted to Omaha in 2011. Struggles aside, Mike still has the stuff to pitch in the big leagues. So far, Mike has a 3-4 record in 14 starts this season with a less-than-stellar 4.76 ERA. He has 53 Ks in 79.1 IP, but he also has 38 BB – a 1.4 K:BB ratio (a 2:1 ratio is the standard). His performance as of late has been progressing, but it’s the lack of talent in Kansas City right now that could warrant his promotion. Maybe he just needs a change of scenery. Ryan Verdugo: The other guy KC got in the Melky Cabrera-Jonathan Sanchez trade, lefty Ryan Verdugo has been fairly good this season in Omaha. Before last season, Duggy had been used primarily as a reliever. 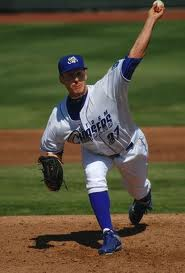 He was converted into a starter while still in the Giants organization and has continued to start for the Storm Chasers. He’s 5-2 in 14 starts (79 IP), owning a 3.65 ERA, a 1.5:1 K:BB ratio, and a WHIP of 1.28. He was called up to the big league club back in June to serve out of the bullpen, but he never made an appearance before being optioned back down to Omaha. Given his numbers this season, Verdugo appears to be a serviceable rotation arm who should garner a serious look in Kansas City. Nate Adcock: After being selected by the Royals in the 2010-11 Rule 5 Draft, Adcock spent all of last season in Kansas City as the long-reliever/spot-starter – and did a failry decent job. The 24 year old sinkerballer was 1-1 with a 4.62 ERA in 24 games (3 starts) totaling 60.1 innings. In 2012, Nate has split time between Omaha (where he’s in the rotation) and Kansas City (in the same role he had last season). He’s done well enough in both spots (Omaha: 6 games/5 starts, 3-2, 3.03 ERA, 1.07 WHIP; KC: 9 games/2 starts, 0-3, 3.12 ERA, 1.57 WHIP) that one could assume that he could replicate those numbers against big league lineups. He at least deserves a chance. Everett Teaford: After toiling around in the minor leagues for 5+ seasons, lefty Everett Teaford, now 28, made his big league debut last season to the tune of a 2-1 record and 3.27 ERA in 26 games (3 starts). Like Adcock, Teaford has split time between Omaha and KC. In 3 games with Kansas City this season, he’s left a little to be desired given his 5.73 ERA and 7 walks in 3 games (1 start, 11 IP). But he’s pitched very well in Omaha, thus far going 4-0 with a 1.09 ERA in 7 games (6 starts). His WHIP is solid at 0.97, and he’s striking out nearly 7 hitters per 9 innings. He’s the most likely to be called up soon in my mind since he’s a lefty and can fill a hole in either the rotation or the ‘pen. Will Smith: Will got a shot at being a member of the big league rotation in late May and early June, sandwiching one quality start with two less-than-quality outings (1-2, 9.00 ERA). His record in Omaha doesn’t look much much better (1-4, 11 starts), but he has a semi-respectable 4.65 ERA and a 3:1 K:BB ratio. At 22 years old, Will may not have been ready to play with the big boys when he was first called up. And he may not be ready if his name is called once again. But, as I’ve said before, he presents more hope and potential than most of the starters the Royals a currently sending to the mound. Doug Davis: At 36, Doug Davis is hardly a top prospect. But, for what it’s worth, the 13-year veteran is pitching well in Omaha. In 7 games (3 starts) Doug is 3-1 and sports a 3.08 ERA in 26.1 IP. I wouldn’t particularly like to see him take up space on the big league roster, but I guess there are worse choices. In terms of impact roster moves, today (and maybe yesterday) has been extremely busy. After tearing up Triple-A pitching during his rehad assignment, catcher Salvador Perez is finally off of the 60-day DL and back on the Royals active roster. The 22 year old backstop tore cartilage in his left knee back in spring training. During his 12 games in Omaha, Salvy hit for a cool .340 average while also catching nine innings in back-to-back games. The Royals have said that they may carry three catchers on their 25-man roster in order to ease Perez back into the starting role. But once Sal is completely ready to get back to catching nine innings five days a week, it’s anybody’s guess as to who of Brayan Pena and Humberto Quintero will be traded, waived, or released. The tandem of Pena (38 games) and Quintero (42 games) have combined for a .253 batting average, a .263 OBP, 22 XBH, and 32 RBI while commiting 8 errors and throwing out 33% of base stealers. I feel like I’ve typed the latter part of that sentence twice already this season. Not to mention reliever Blake Wood underwent the procedure as well. 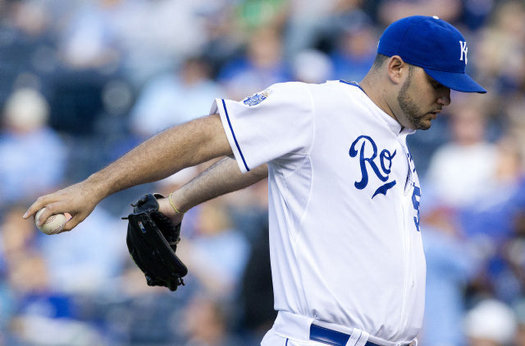 Losing Paulino for the rest of the season is, in the least, a major blow to the Royals already hampered pitching staff. The news leaked today that Flip has a torn ulnar-colateral ligament in his right elbow and will seek a second opinion. But if Royals fans have learned anything from this season, it’s that a torn UCL means Tommy John surgery. No ifs, ands, or buts. Paulino is no stranger to the DL, as he opened the season on it with a strained right forearm. He then was placed on the 15-day DL yet again two weeks ago due to a groin injury. In between his two previous stints on the DL however, Paulino was one of the more solid pitchers in baseball. In 7 starts, Flip was 3-1 with a 1.67 ERA and 39 K’s in 37.2 IP. So now the Royals are left with some questions to answer. Who is going to take Paulino’s spot on the roster/rotation? Why have four Royals pitchers (Soria, Wood, Duffy, and Paulino) torn their UCL’s this season? Enter your Jake Odorizzi talk here. This could really fall under the great news portion of this post, but in the grand scheme of things it has almost no effect on the team. The Royals and Blue Jays pulled off a blockbuster deal on Wednesday. KC shipped right-hander Sean O’Sullivan to Toronto in exchange for a bag with a “$” on it. No information has been given as to what the cash considerations are that are headed the Royals’ way, but odds are that it isn’t anything significant. S.O.S. came over to KC in July of 2010 when the Angels shipped him and LHP Will Smith for 3B/2B Alberto Callaspo, who had hit a combined .293/.343/.426 with an even 100 XBH (68 doubles, 13 triples, 19 homers) over 317 games with the Royals. During his time with the big league club, O’Sullivan was anything and everything but overwhelming. In 43 games (34 starts), Sean was a combined 5-12 with a 6.63 ERA. O’Sullivan had been doing so poorly this season that he was even removed from the starting rotation in Omaha. In 17 games this season (5 starts), he recorded a 5-4 record and a 6.75 ERA. The Blue Jays have been struggling to keep their rotation healthy this season, seeing three starters hit the DL in the past week or so (including Kyle Drabek who is scheduled to undergo Tommy John surgery). S.O.S. joins the list of former Royals greats who have made their way to Toronto after being given up on by the Royals. That list includes Kyle Davies, Jesse Chavez, Mark Teahen, Ruben Gotay, Shawn Camp, Aaron Laffey, and (yes, sadly) Jose Bautista. Tuesday was a busy day for the Boys in Blue. Apparently Kyle Zimmer wasn’t enough for the Royals. One day after taking Zimmer 5th overall, the Royals selected a total of seven pitchers in rounds 2-15 (3 college, 4 high school). They started the day by taking Vanderbilt lefty Sam Selman with pick no. 66. Selman,21, hasn’t been a front-line starter for the Commodores, but he’s a guy that Royals scouts saw get better as the season went on. The Royals took Louisiana high school lefty Colin Rodgers, 18, with their 3rd round pick, their first selection from the high school ranks. Rodgers is currently commited to play baseball at Auburn. He possesses a plus-curveball that normally sits between 75-78 with a sharp break. The Royals addressed their biggest organizational need by selecting three pitchers with their first three picks. Kansas City finally selected their first position player in round four by selecting Stanford infielder Kenny Diekroeger with the 133rd overall pick. Diekroeger was selected out of high school in the 2nd round by Tampa Bay in the 2009 draft. Opting rather to attend Stanford, Kenny turned down a signing-bonus of $2 million from the Rays. He saw his numbers dip a little bit during his time at Stanford, but Royals scouting director Lonnie Goldberg still sees great potential – “We think this guy has plus-plus makeup. We’re anxious to get a wood bat in his hand. 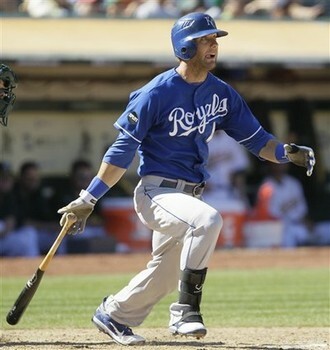 We think he has a ton of upside.” – Goldberg to Bob Dutton of The Kansas City Star. During his time at Stanford, Kenny played third base his freshman year before shifting over to shortstop for his sophomore season. He then shifted across the infield again during his junior season by moving over to second base. They didn’t waste any time picking up their second position player in the next round, drafting catcher Chad Johnson. No, not that Chad Johnson. This Chad Johnson is a high school catcher out of Illinois. The left-handed hitting catcher’s clame to fame is hitting a homerun into the right field seats of Busch Stadium. The draft concludes today with rounds 16-40 taking place via conference call. After another rocky outing, the Royals decided to option lefty Will Smith back to Omaha and promote lefty Ryan Verdugo. Will Smith sandwiched one quality outing with two sub-par starts. He was 1-2 in those three starts, allowing 14 runs in 14 innings pitched. Verdugo was 3-1 in 11 starts for Omaha and sported a 3.61 ERA. Although he’s been a exclusively a starter this season, he’ll serve his time in Knasas City as a member of the bullpen – likely as a long-reliever. Verdugo may not be in Kansas City for long, as manager Ned Yost anticipates the Royals adding a position player to the roster before Friday when the Royals travel to Pittsburgh to continue their road portion of interleague schedule. In the mean time, he’ll wear #62 – the number he wore for the Royals in spring training. The Royals acquired Ryan Verdugo last November, along with lefty Jonathan Sanchez, from the Giants in the Melky Cabrera trade. When the Royals travel to Pittsburgh this Friday, don’t expect to see Eric Hosmer roaming the right-side of the infield. Instead, you’ll be seeing Hoz snagging flyballs in right field. In an effort to maximize offense, the Royals plan to use Billy Butler at first base. In turn, Hosmer will be in right field, thus shifting Jeff Francoeur to center field and Jarrod Dyson to the bench. 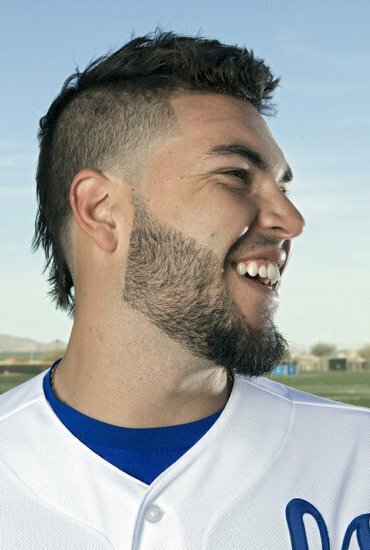 Hosmer got a handful of innings in the outfield this spring in preparation for interleague play. For the third time in the past five games, the Royals have shutout their opponent. It all got started last Friday when Felipe Paulino, Kelvin Herrera, Greg Holland, and Jonathan Broxton combined for a three-hit shutout over the A’s (final 2-0). They matched that 2-0 victory over the A’s by earning another 2-0 shutout over them that following Sunday. The bullpen combination of Herrera, Holland, and Broxton worked just as well this time behind starter Vin Mazzaro. Then last night came. Bruce Chen pitched a masterful seven innings against the Twins. He surrendering only four hits, striking out five, and walking zero. Greg Holland followed suit by striking out the side in the eighth. Broxton came in to close the ninth in typical Jonathan Broxton fashion (one hit, one walk, tying and winning runs on base). The only offense the Royals got (and needed, apparently) came in the bottom of the second. With two outs, after reaching on a fielder’s choice, Eric Hosmer swiped second base off of Twins starter Francisco Liriano. The move paid off when Brayan Pena brought Hosmer home on a single to left field. The Royals will look to take the series 2-1 tonight at The K. Felipe Paulino (3-1, 1.70 ERA) will take the hill for the Royals. he’ll be pitted against the recenelty promoted Twins righty Nick Blackburn (1-4, 8.37 ERA). The Royals are 7-3 in their last 10 games. They have outscored their opponents 42-34 in that stretch. Jonathan Broxton has recorded a save in six of the last ten games. They have won their last three series’, and have won six of their last nine series’. Six Royals are listed among the leaders in the balloting for the All-Star game: SS Alcides Escobar (4th), DH Billy Butler (4th), 3B Mike Moustakas (5th), 2B Chris Getz (5th), OF Jeff Francoeur (10th), and OF Alex Gordon (13th). The Royals are averaging nearly 23,000 fans at home this season thus far. At this point last season, they were averaging just over 17,600 fans per home game. With last night’s victory over the Chicago Red White Sox, the Royals are 6-4 in their last 10 games, and are 10-6 in their last 16. IF, and that’s a very big if (get it? ), this team can maintain a .600 clip, they could very well find themselves right back in the mix of things in the AL Central and Wild Card race. A .600 winning % equals out to roughly 97 wins a season. But in order for the Royals to win 97 games, they’d have to play much better than .600 baseball. It looks like the Donkey is back on his old trail again. In the 1st inning of Friday night’s game, Dunn blasted a solo-shot to deep right off of Felipe Paulino to give the Sox an early 1-0 lead. The South Siders never looked back after that as they went on to win 5-0. Paulino had a fairly decent performance in his second outing of the season. He gave up seven four runs (all earned) on seven hits while striking out six and walking one in 5.2 innings. After spending two weeks on the DL with a rib injury and taking part in a joint-effort no-hitter in a rehab assignment with Northwest Arkansas, Greg Holland rejoined the big league team in Chicago and reassumed his role in the bullpen. To make room for Greg, Nate Adcock was reassigned back to Triple A Omaha. Holland appeared in the final two games of the series against the White Sox, throwing 1.1 scoreless innings in late-relief. He recorded 4 K’s to 2 BB’s while surrendering a lone hit. In an effort to take a little pressure off his bat, Ned Yost has decided to shift Eric Hosmer from his usual all-important no. 4 slot in the lineup to the no. 6 slot on Saturday. Yost said the down shift was mostly due to the fact that the Royals were facing a left-handed starter that day (Chris Sale) and that Hosmer has been “fighting it a little bit”. AKA – he’s trying too hard. Hosmer went 2-for-9 during his two games in the 6 slot with a run scored an a RBI. He managed to get up his batting average to .180. He’s batting just .163/.200/.233 in the month of May (7-for-43) with just 2 XBH (0 HR) and 4 RBI. He’s only managed to work two walks this month; on a positive note, he’s struck out only five times – meaning he’s making consistent contact. He’s just been really, really unlucky (evidenced by his .171 BAbip). The team hopes that moving him down in the order will help Hosmer relax a little more at the plate and help change his mentality at the plate. instead of coming to the plate knowing that he’s the guy, he can go up there and just look for a base hit to help set the table. After playing in the first game of the series in Chicago, Mike Moustakas was held out of the final two games with what was termed as a sore hamstring. Mike also missed the final game of the series against Boston with the same issue. Utility-man Irving Falu filled in for Moose in each of those games, going 5-for-13 in the three games while playing comparable defense. Mike is currently leading the Royals with a .308 AVG and has at least one hit in 7 of the 8 games he’s played this month. Right now it looks like Moose will be in the lineup tonight as the Royals take on the Rangers in Arlington, TX. Luke Hochevar continued his season-long Dr. Jekyl and Mr. Hyde act on Saturday night by shutting down Paul Konerko, Adam Dunn and the Pale Hose for 7 solid innings. Hoch struck out five and walked one while giving up just three hits, earning his third win of the season. The Royals’ offense backed him early by scoring three runs in the top of the first. The only “threat” the White Sox poised against Hochevar was in the bottom of the 2nd. With one down, Hoch walked A.J. Pierzynski and gave up a single to Alex Rios. But he got the next batter, Alexei Ramirez, to ground into an inning-ending 6-4-3 double play. In his previous two outings, Hochevar had given up a total of 16 runs, 19 hits, and 4 BB in just 6.1 innings. With the win, Hochevar (3-3) lowered his ERA from 9.00 to 7.20. Given the Royals’ recent injury problems, the team went out and signed veteran left-handed starter Doug Davis. Davis, at 36, is a 13-year veteran who has a 92-108 career record in 306 games spread throughout five different organizations. Doug was assigned to extended Spring Training in Arizona where he will workout in anticipation of being sent to Omaha. This was strictly a veteran depth move – very similar to when the Royals inked Jeff Suppan last year. 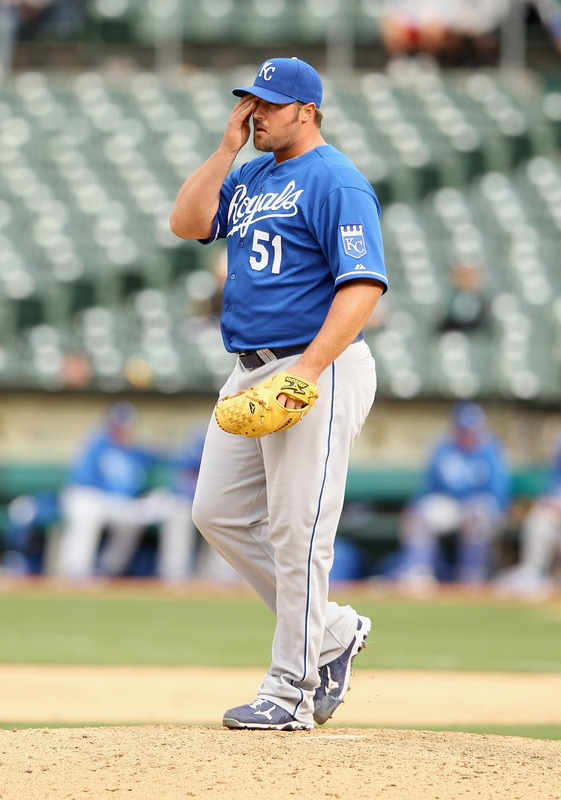 After throwing just 13 pitches and recording two outs in the bottom of the 1st on Sunday afternoon, catcher Humberto Quintero signaled for Ned Yost and head trainer Nick Kinney to come out to the mound and check on Danny Duffy’s arm. Although there were no clear visual signs of discomfort, Quintero saw Duffy shake his out his arm after a pitch. Yost came out and talked to Duffy, who revealed that he was experiencing soreness in his left elbow, prompting Ned to pull him from the game and call-in swing-man Luis Mendoza. Mendoza pitched terrifically, going 5.2 innings, giving up only one run and striking out seven. If you recall, Duffy has already missed a start this season due to an elbow issue. Instead of sending him to the DL, the team merely skipped his turn in the rotation in hopes that it was only a minor issue. After undergoing an MRI today in Kansas City, the Royals have decided to send Duffy to the 15-day DL and recall the recently optioned Nate Adcock to fill his roster spot. In the top of the 7th, the Royals were down 1-0 with Alcides Escobar on first, the White Sox brought in lefty Matt Thornton to face left-handed hitters Jarrod Dyson and Chris Getz. Thornton lead off his night by walking Dyson, which moved Escobar to second (agruably the team’s two fastest runners). In order to play the match-up game, Ned opted to pinch-hit the right-handed Johnny Giavotella for the lefty Chris Getz. During Gio’s AB, Escobar and Dyson advanced a base on Thornton’s wild pitch. Giavotella worked a great at-bat against Thorton and eventually sent a 1-2 fastball that was away down the right field line for a two-run double – his first hit of the season – Royals lead 2-1. The Royals extended their 2-1 lead in the 8th wneh Jeff Francoeur sent Nate Jone’s pitch to deep left field to the tune of a 400+ foot solo shot, his first of the season. This was his first homerun since September 23 of last season, which ironically was in U.S. Cellular Field. Frenchy hit 20 HR last season and had 22 SB. He has yet to steal a base this season. The 3-1 lead was more than enough for the Royals to get the victory last night, but that didn’t stop them from adding six insurance runs in the top of the 9th. The Royals sent 11 batters to the plate in the top of the 9th, with both Alcides Escobar and Humberto Quintero batting twice in the inning. The runs scored on a passed ball (1), a bases loaded hit-by-pitch (1), an infield single (1), a fielder’s choice (1), a single to center (1), and a single to right (1). To recap. that’s six runs on one mistake pitch, 3 singles, a hit batter, and a fielder’s choice. The Royals forced Addison Reed and Eric Stults to throw 46 pitches combined in the inning. The Royals will be in Arlington tonight to take on the AL-leading Texas Rangers in game one of a short two-game series. The Royals (13-20) now stand just 4.5 games back of the first-place Cleveland Indians. The team has won four of their last five games and and have won or split each of their last five series (2 wins, 3 splits). The Royals boast a road record of 9-7. The Rangers (23-12) have the best record in the American League and are sitting 5 games ahead of second place Oakland. Josh Hamilton is the hottest hitter in baseball, leading the entire league in batting average (.402), home runs (18), and RBI (44). They’re 6-4 in their last 10 and have a home record of 10-6. Since 2005, the Rangers are 39-19 against the Royals. Tonight’s game begins at 7:05 CT. It will be Bruce Chen (1-4, 4.83 ERA) for the Royals against Scott Feldman (0-0, 4.35 ERA) of the Rangers. 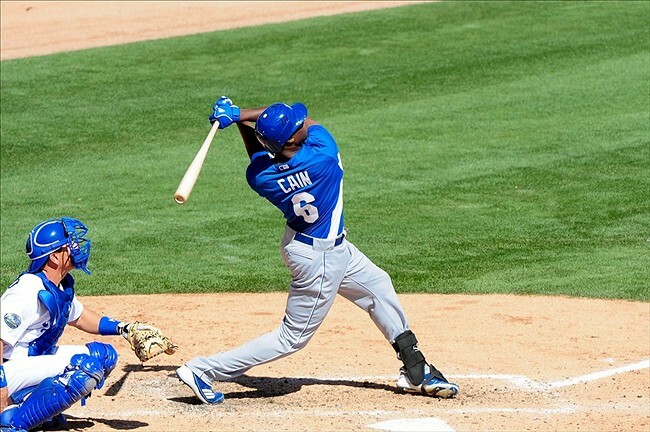 With a 7-6 victory over the Padres last night, the Royals wrapped up Spring Training at 16-15. Hey, take it for what it is. Yeah, it’s only Spring Training. But you have to start somewhere, right? The Royals 2012 Spring Training was… interesting. We saw injuries (both significant and not), position battles/tinkering, rotation and bullpen shuffles, promotions, demotions, trades, off-the-chart performances, contract extensions, etc. Each one of the injuries required reactionary moves from the club. The injuries to Pina and Perez forced the Royals to look for a veteran, defense-first catcher; leading to the acquisition of Humberto Quintero. Soria’s injury opened up the closer role to one or all of Holland, Broxton, and Crow. It also opened up a full-time spot in the bullpen for a fresh face. Blake Wood’s spot became up for grabs, but he was a fringe bullpen guy to begin with. The loss of Felipe opened up two rotation spots for Mendoza and Duffy, as well as the long-relief spot for Everett Teaford. Injuries aside, the combo of Chris Getz and Yuniesky Betancourt winning the 2B job over Johnny Giavotella was the biggest shock of the Spring. Virtually everyone, myself included, basically gave Gio the job before the Royals arrived in Surprise. But, to their credit, Getz and Yuni outperformed Gio and currently present better options defensively for KC. The first three rotation spots were a given: Chen, Hochevar, and Sanchez. The last two spots were up for grabs, but Paulno and Duffy basically had dibs on the spots. But the performance of Luis Mendoza changed all of that. He was without a dout the best pitcher in Royals camp, forcing the Royals to give him a rotation spot. And once Paulino went to the DL, Duffy had the fifth spot locked up. Say what? That can’t be right, can it? Yep. It happened. A few times, actually. In order to maximize offense against NL teams, the Royals tinkered around with Eric Hosmer in RF (and Jeff Francoeur in CF) so they could have both Hoz and Billy Butler in the lineup. Hosmer is a good enough athlete that playing RF shouldn’t be difficult at all for him. He has a terrific arm and good enough speed that I thought he could have been an everyday right fielder in the minors (this was all before we had Frenchy, Wil Myers was still a catcher, and Kila Ka’aihue was mashing in Omaha). No, Montgomery won’t be opening the season in Kansas City. Neither will Felipe Paulino, but not for the same reasons. Monty didn’t perform well in his few outings, and Paulino was sent to the DL, which opened up spots for Mendoza and Duffy. Without Soria, the roles in back-end of the bullpen are up in the air. Holland and Broxton are the clear front-runners for the closing position, with Aaron Crow not far behind. The most notable surprise here was Kelvin Herrera taking a spot away from Louis Coleman. Herrera had a great Spring, and Coleman scuffed a bit as roster cuts loomed. Herrera has the potential to be a closer someday. Luckily for him, someday may come soon. If you’ve been reading, you already know why Gio and Sweet Lou were demoted to Omaha. Jarrod Dyson became expendable with the acquistion of OF/U Jason Bourgeois. Dyson has the speed and defensive tools down, but he really needs to learn how to keep his flyball rates down so he can appropriately use his speed (similar to Juan pierre). Afterall, you can’t hustle out a pop-up. The demotion of Sean O’Sullivan is no surprise. But in order to do so (since SOS was out of minor league options), the Royals had to place him on waivers – making him available to the rest of the league. Since nobody placed a claim on him, the Royals were able to send him to Triple A.
Chapman is a solid C+ to B- lefty reliever who would have been a welcome addition to the Royals in the future, but he (along with an unknown) helped the Royals land two veterans who can help the team this season. Quintero is a career backup, but has seen enough playing time throughout his career that you pretty much know what you’llget out of him. Solid defense, below-average-but-acceptable offense. He’ll compliment Brayan Pena, as they’ll likely be splitting time at the catcher position until Sal Perez returns. Jason Bourgeois is capable of playing all three OF positions, as well as some 2B and 3B. So, needless to say, his versatility is his biggest tool. And although he isn’t as fast as Dyson, he provides extra speed off the bench. The Royals made an inter-divisional trade by shipping Golson to the White Sox for cash. Golson is a quick OF capable of filling in at each spot, but his bat has never really been there. He was a non-roster invitee this Spring, so nothing was really lost. He never really had a shot to make the roster anyway. Alex Gordon, Lorenzo Cain, Eric Hosmer, and Billy Butler each hit over .360 this Spring, with Hosmer leading the league in RBI. If they can carry their performances into the season, the Royals may have one of the best 1-4 hitters in baseball in 2012. Hopefully, since Mike Moustakas is a notorious “slow starter”, he got all of that out of the way this Spring. He only his .240, but came around a little bit as ST came to an end. Bruce Chen and Jonathan Sanchez had rough Springs, as did Danny Duffy (even though he did show flashes of dominance). Luke Hochevar showed that he may have gotten his career on the right track, and Luis Mendoza made Royals fans, scouts, and coaches a believer. Dayton Moore was hard at work this offseason, signing three key Royals to long-term contract extensions. The season begins tomorrow night in Anaheim against Prince Albert and the Angels at 9:05 CT. It’ll be Bruce Chen vs. Jered Weaver. Here’s to hoping the Royals can make this a fun, interesting, and competitive season! Do your part and get out to The K!